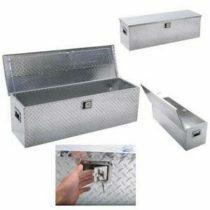 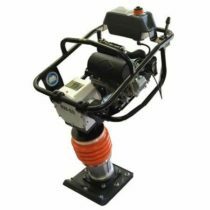 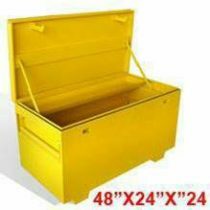 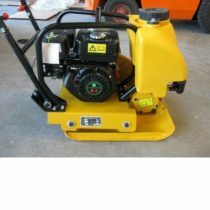 This tool box is designed to save space and provide extra storage under the truck bed or in front of a trailer on the tongue. 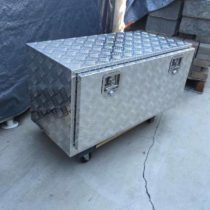 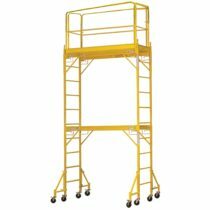 It’s made of sturdy aluminum tread, has a weather resistant sealed door and a heavy-duty hinge. 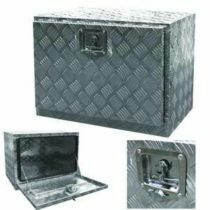 It opens upward, is fully welded and comes with a lock & 2 keys. 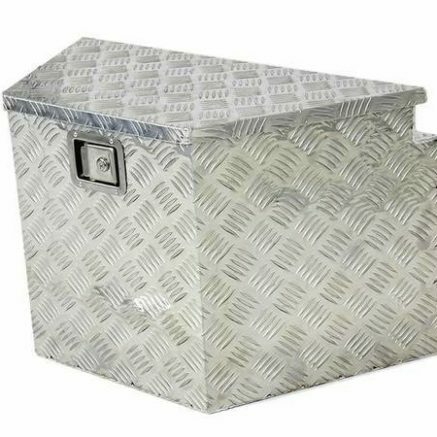 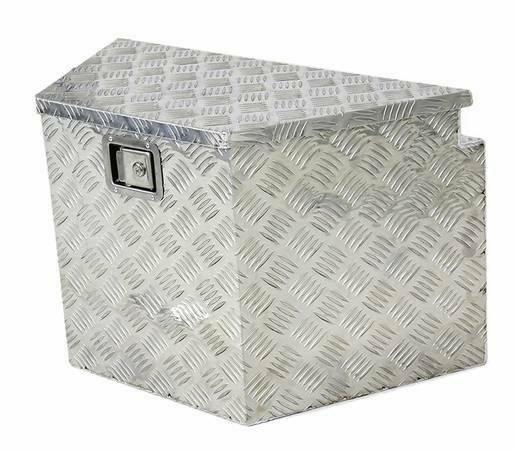 Great for storing your tools in your vehicle, trailer or in your garage.